I've been doing some work internally at VMware which I thought could be useful to the wider public, so I've decided to share this with you. 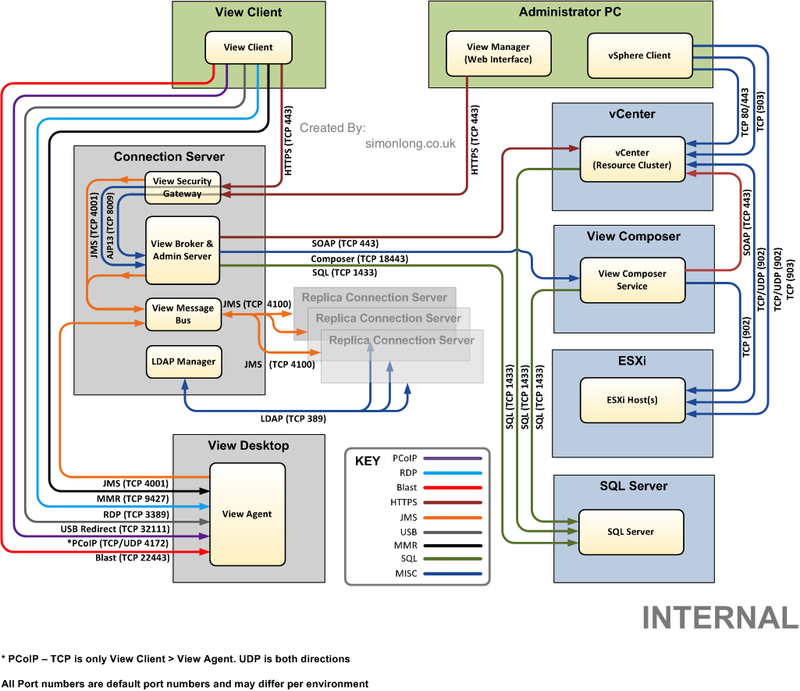 I've put together a couple of detailed diagrams that display the networking port requirements and directional traffic flow to the various component that make up an Horizon View 5.2 environment. Some of the diagram's I've seen documented in the past don't always show everything that is required and customers can often encounter issues when important information is missing. I've decided to split these diagrams out into to separate posts. 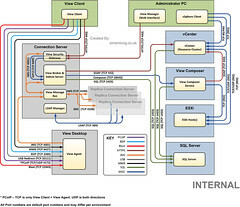 Here is the internal design Horizon View design.